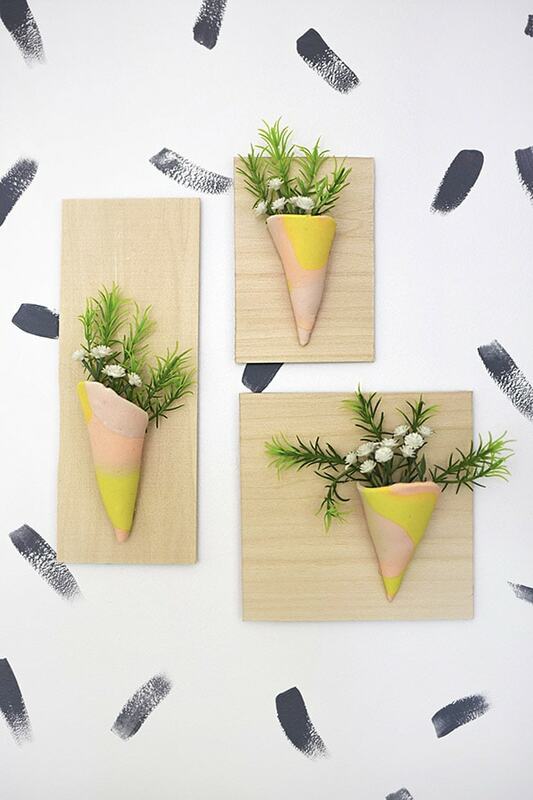 INSIDE : Inspired by NBC’s hit ‘Making It’ show, check out how to create this modern Clay Vase Wall Hangings using polymer clay and a few other supplies. Check out what my fellow bloggers made with their clay! I am so excited to be back again today with another Make It Challenge project! You might remember last we all crafted with wood and I created a gorgeous Wood Cutout Frame. This time around we are working with clay and I could not be more excited. 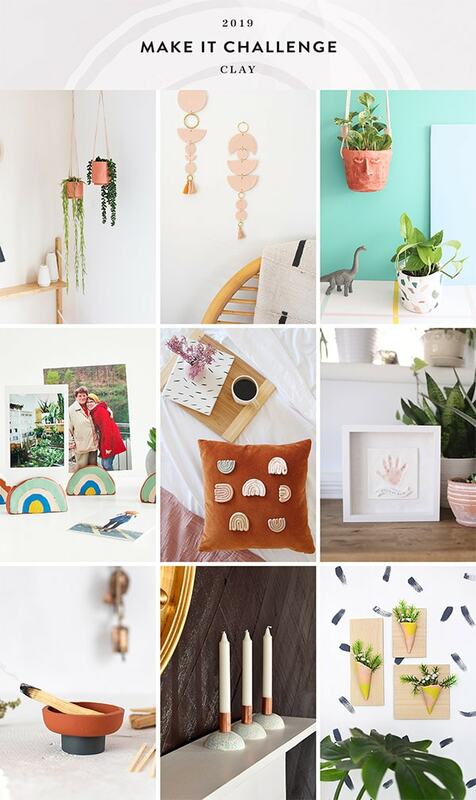 Be sure to check all the incredible projects my fellow blogger ladies made! Also you can use the #makeitchallenge hashtag on Instagram for a chance to be featured on the @makeitchallengecommunity feed – woot woot. 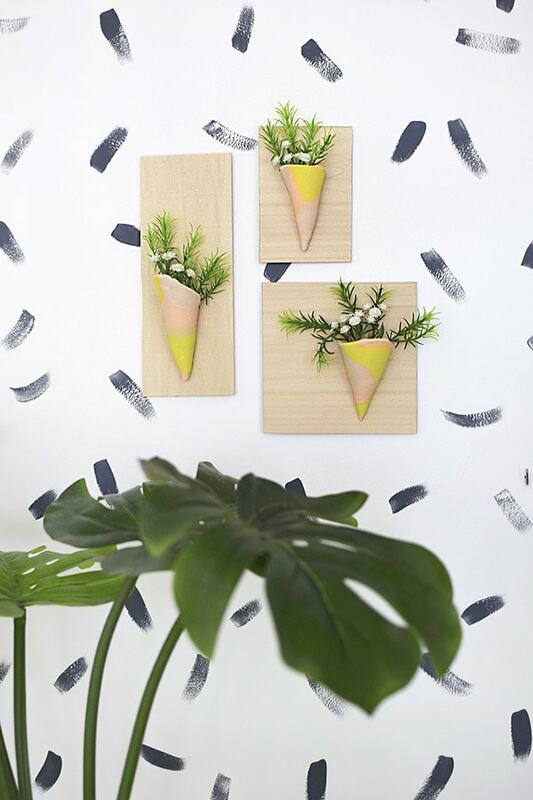 What supplies do I need for a Clay Vase Wall Hanging? 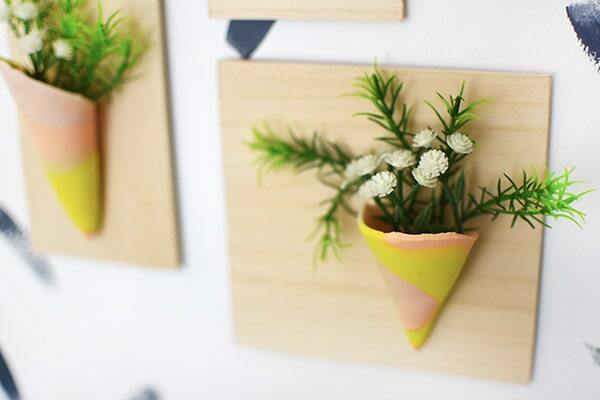 How to make a Clay Vase Wall Hanging? 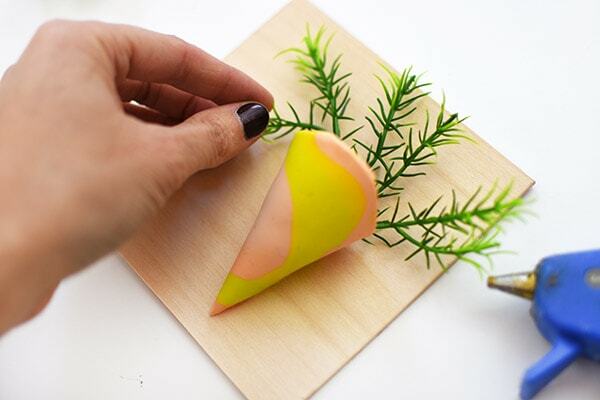 Start by removing a small amount of clay from each of the different colors. Once you have a small quantity of each color, start warming them up in your hands and eventually roll them out with an acrylic roller. The colors will start to slightly blend together. You can now add a few spots of clay to each of the color areas that are flattened out. This will continue to add to the lovely marbled look. 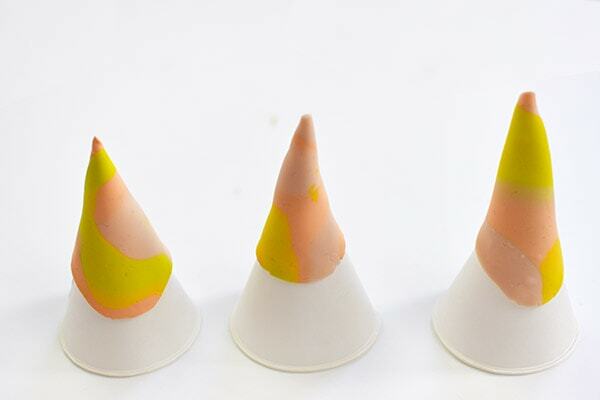 Using your paper cone cups as a mold, start to wrap your flattened FIMO clay around the shape of the cups. 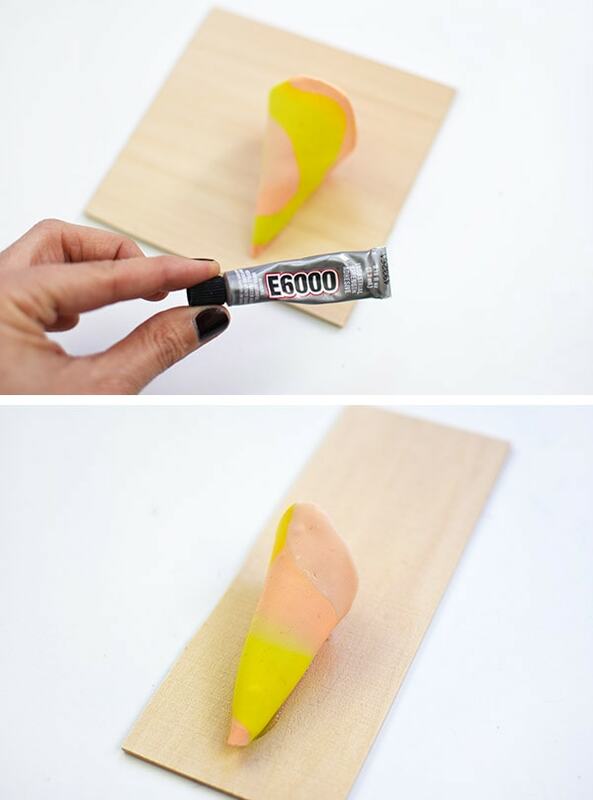 Your final look will look something like little gnome hats and this means you are on right track – ha. Follow the directions on your specific clay and allow to fully cool in temperature. Once the clay is adequately cooled down and become hardened, it is time to adhere to a small count out piece of bass wood. 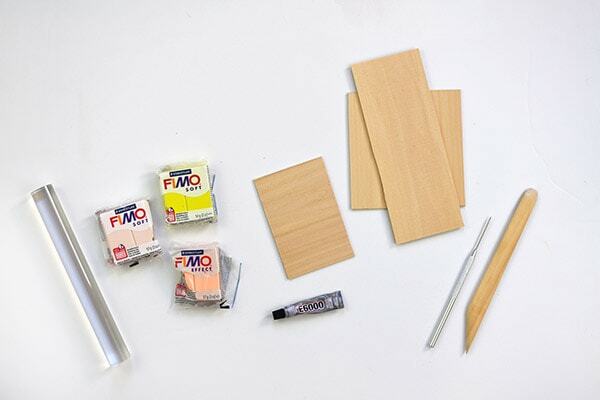 I use E6000 for more of my more heavy duty gluing projects. The final step to this great clay project was filling it with all the faux plants and herbs I could find. I just love how the final look came out! 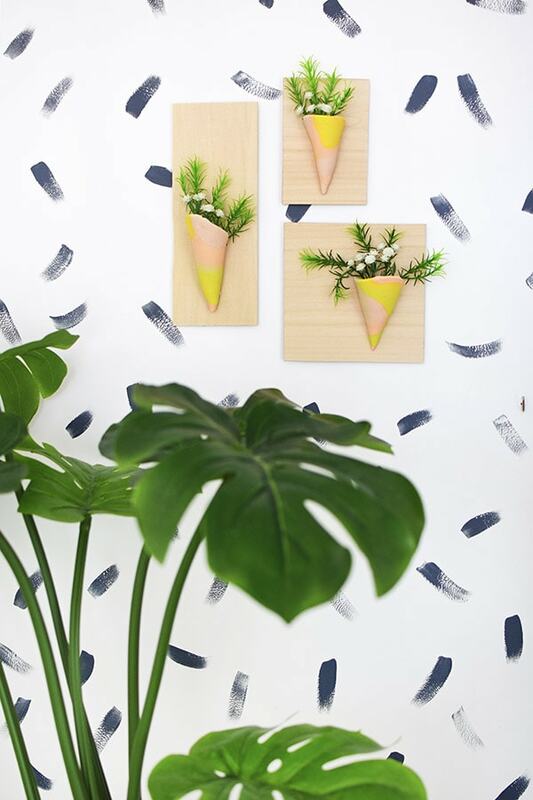 I have since hung these fun clay wall hangings in my office and I love the little pop of color they provide – in addition to I always love adding plants to my walls. I love that with clay there are just endless options and endless color choices to go from. 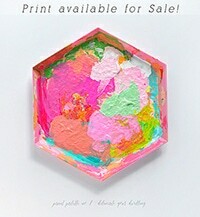 Any, I love this project! The vases are so unique and cute! 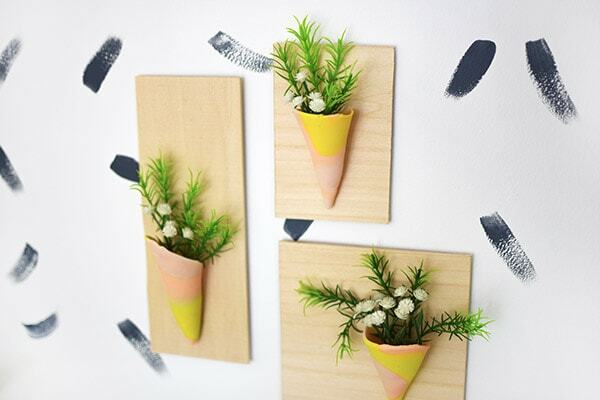 What a creative way to use clay, and I love how you could customize it for any space. Love it! 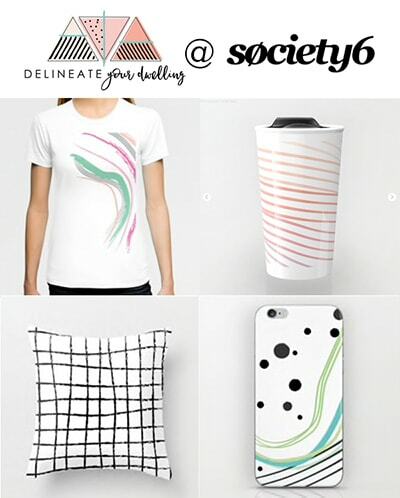 These are amazing Amy! 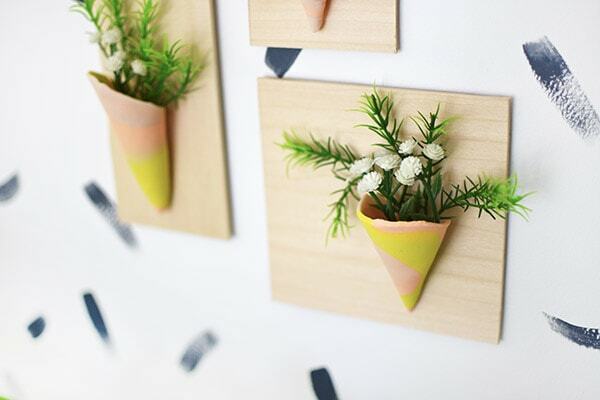 They’re like little joyful boutonnieres for your wall! I have a few skinny walls that could use a couple of these.